While we're big proponents of ultimately embracing a bad mood, we also get it. Sometimes, it's worth pulling out all the stops to feel better (like when duty calls at the office, for example). This is where herbs can come in handy. Replacing one of your morning cups of coffee with a potent tea or tincture might sound like the stuff of witchcraft, but science tells us that it's a highly effective way to assuage stress, brain fog, and the general blues. 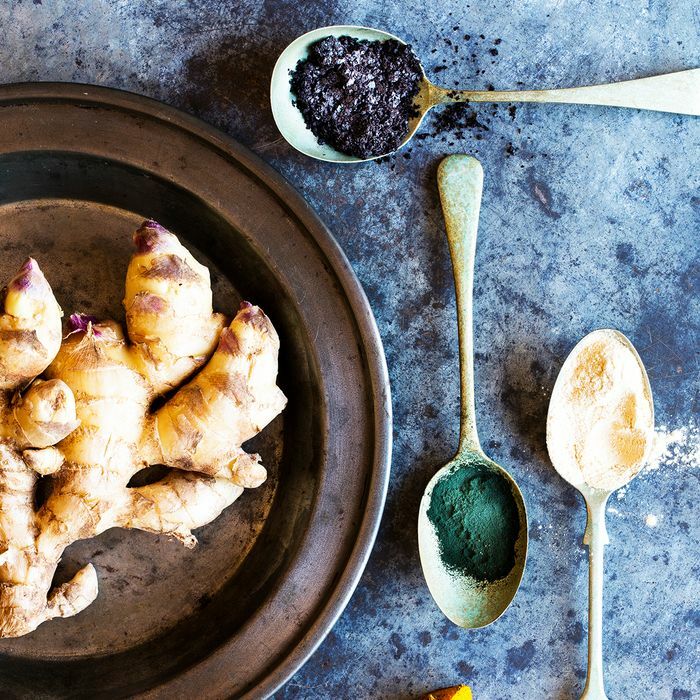 To get the download on the best herbs to combat just about any kind of bad mood, we turned to Renee Rosenfeld, a Portland-based naturopathic doctor and acupuncturist. Before diving in, she just offers one crucial word of caution, and that's to always consult a doctor if you're already taking any kind of medication before adding herbs to your routine. "Some herbs are contraindicated when using pharmaceuticals at the same time, so it's best to have a licensed professional on your healthcare team to help you explore herbalism safely," she says. Even if outside medication isn't a factor, know that plant medicine is still incredibly potent, so it's best to start slow either way. "Teas and tinctures are wonderful ways to start using herbs," says Rosenfeld. "Taking herbs via tea is the second most traditional and ancient way of ingesting herbs! Tinctures are wonderful too. 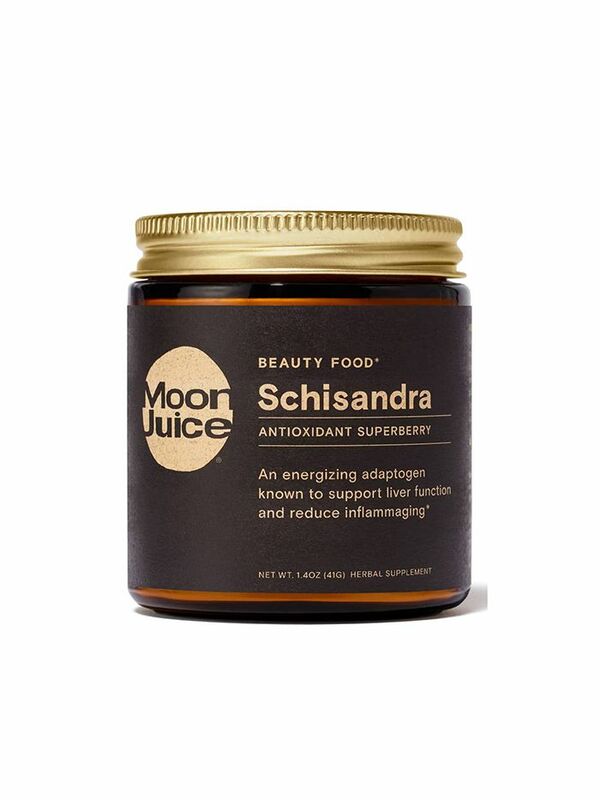 They are a great vehicle for absorbing and assimilating the medicinal properties of the herbs." Keep reading to learn about six herbs that can help tackle anxiety, fatigue, and more. A lot of stress remedies might leave you feeling too mellow, but Schisandra curbs anxiety while also providing a hit of energy. "This herb helps build vitality, strength, and mental alertness, as well as calming the mind and treating insomnia," says Rosenfeld. "It is stimulating and calming at the same time." "Lemon balm is wonderful for digestive issues caused by stress and anxiety, specifically abdominal spasms for those who have IBS," says Rosenfeld. Studies also show that in addition to combatting this symptom of stress, this herb also gets right to the source of it all. "Lemon balm is fantastic for treating anxiety and mild depression, as it's calming yet uplifting," Rosenfeld adds, noting that it's best enjoyed as a tincture or a tea. Insomniacs, take note: "Passionflower is one of the most popular herbs used to regulate normal sleep cycles," says Rosenfeld. "It's wonderful for those that have constant mental chatter when their head hits the pillow and they can’t turn it off." Consider keeping it on deck if you're feeling emotionally spent, too. "If you are experiencing loss, grief, or tremendous anxiety, this herb is really helpful," she says. Hormonal imbalance can mess with mood and energy levels, which makes ginseng a potent option if you're facing a long, stressful day. "It helps to alleviate anxiety and depression and regulates the hypothalamic-pituitary-adrenal axis which helps balance hormones," says Rosenfeld. Just keep in mind that you'll want to take it before 6 p.m. to avoid affecting your sleep. Like ginseng, "holy basil is an adaptogen that is wonderful for reducing and balancing cortisol levels," says Rosenfeld. "It's fantastic for anxiety and calming the nerves. It can be taken any time day or night, and is really lovely as a tea." Motherwort is one of the starring ingredients in this "stress support" potion from Urban Moonshine, along with linden, rose, and lemon balm. "Motherwort addresses anxiety and helps heal the effect it has on our hearts," says Rosenfeld. "It can also heal melancholy or sadness. It's often called the 'mother's herb.' It is a great herb for mamas and for those that need mothering in their life." Studies also show that the herb has a marked impact on some of the more serious physiological symptoms of stress, like high blood pressure and heart palpitations. As always, consult with your doc before treating these kinds of symptoms with herbal remedies. Next up: How to recharge your "happiness hormones."